This program emphasizes the rich body of work that Hildegard von Bingen devotes to the Divine Feminine. Main chant forms used by the 12th century mystic include devotional antiphons to Divine Wisdom and Divine Love. Readings from Hildegard's visions detailing the appearance of the virtues and their purpose- to work within the human being- create an atmosphere of reverence, contemplation, and jubilation. The heartfelt elegant singing of Vajra Voices joins with the earthy and vibrant Shira Kammen to create an atmosphere of pure joy. Winter’s Glad Song features rapturous florid medieval chant of Hildegard von Bingen and electric Aquitanian organum contrasted by ancient and traditional carols and dance. The program weaves together a delightful musical journey that invites audience participation in the singing of carols, and, when possible, in a candlelit setting. 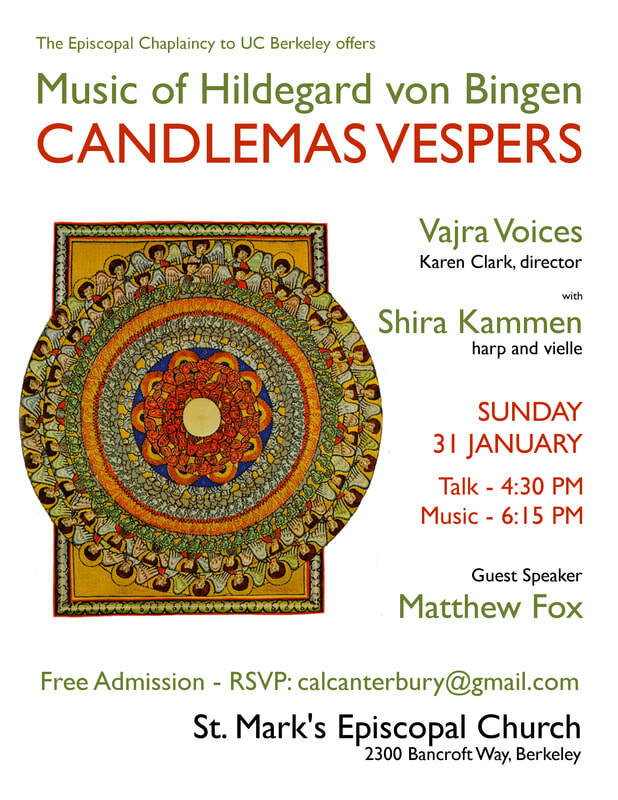 An evening prayer service featuring the 12th century mystic, Hildegard von Bingen's music takes inspiration from viriditas or greenness, which Hildegard used to connote spiritual awakening and stewardship of the earth. 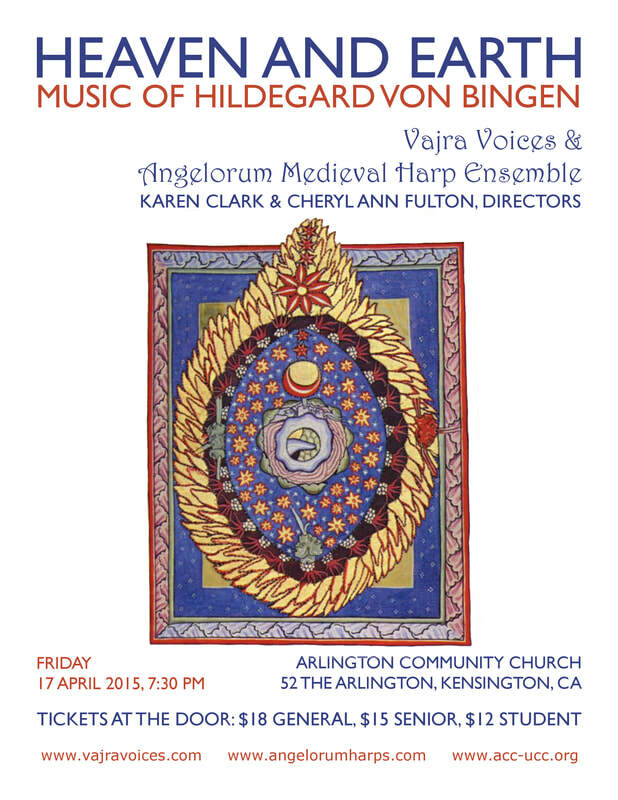 Readings from Hildegard's books and letters are interspersed with her songs in a contemplative and joyful celebration. A sample program from our CD release concert can be viewed here. 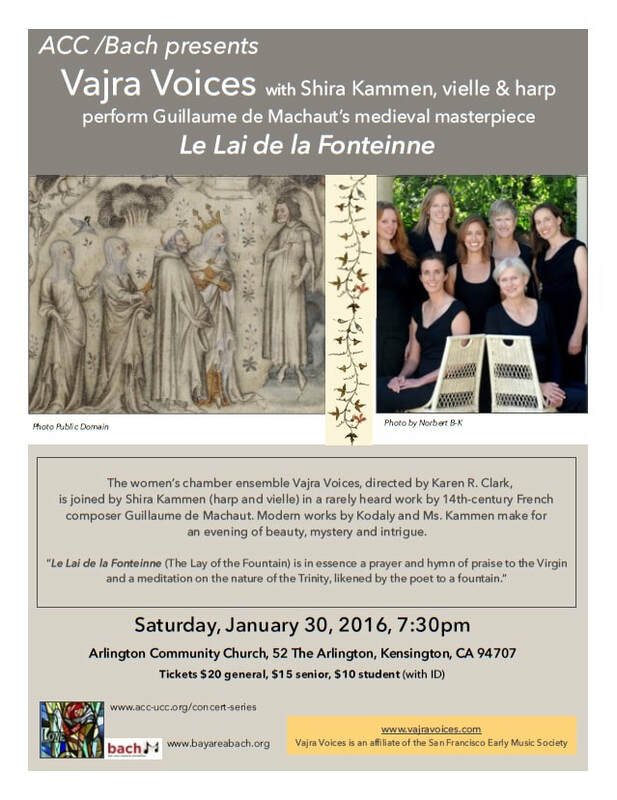 This program highlights the crystalline majesty of Machaut's masterpiece, Le Lai de la Fonteinne. 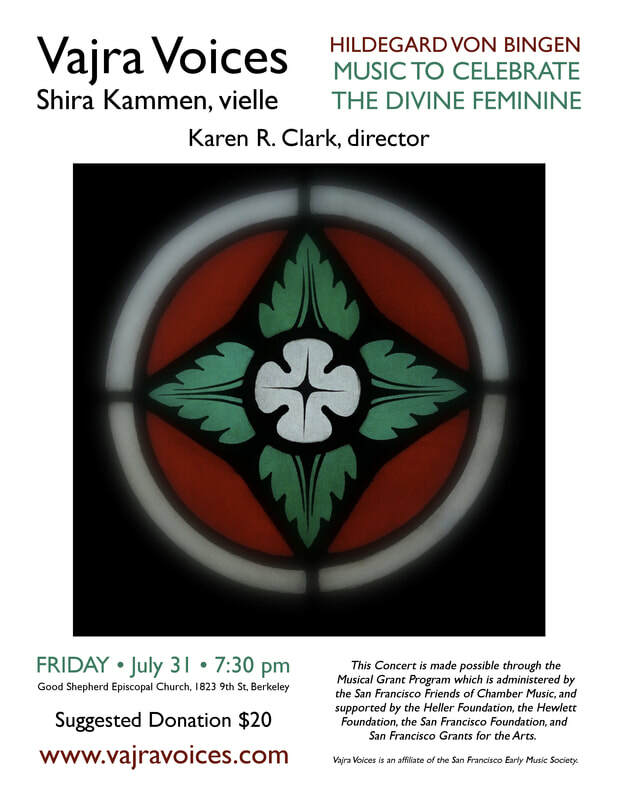 With selections from his shorter formes fixes, this concert explores the 14th century fusion of sacred and secular themes in a thought-provoking entertainment on chivalric love. Inspired by the stories of women.